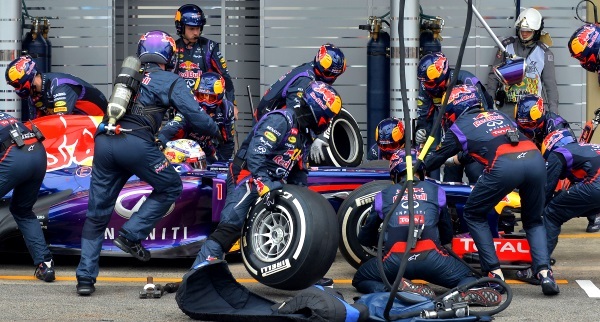 Like a Formula 1 racing car, a high performance web site needs constant tuning and improvement. Like a Formula 1 racing car, a high performance web site needs constant tuning and improvement to consistently win in the race to improve online revenues month over month, year after year. We have 5 Tips that can help. 1. Optimize your web site (SEO*) to attract customers looking for your products on search engines. SEO, Search Engine Optimization, involves marketing strategies important to your business. These include unique keywords which are unique to your business, dependent on your unique selling proposition (USP). 2. Make your web site easier to navigate with fewer clicks to order. If your website is older than 3 years, consider updating it as newer sites have better SEO and navigation – and they look better with bigger images, better scrolling, and animated features such as slide shows. If you have a WordPress site, simply update the theme to a newer theme. Not sure what a new and better website should look like? Go to the WordPress.org or WordPress.com website and check out the newest themes. 3. Give sales prospects confidence in your products and your company. Provide plenty of details on your site about your products and your commitment to quality. Offer simple and short video content, customer reviews, customer testimonials, and comments from social media. 4. Make sure your product images are professionally shot and are as large as possible. Give your visitors the ability to enlarge your product images for detail views. For faster loading pages (and improved SEO), keep image density at 72 – 96 dpi each. 5. Offer frequent sales promotions. For each, build simple landing pages linked to your email marketing, pay-per-click, and social media marketing programs. If you have trouble thinking up promotions beyond the cliched BOGO or Free Shipping, just think of your web site as a “bricks and mortar” retail store and how you would increase traffic (and sales) every month…because it’s all about revenues. *SEO (Search Engine Optimization) increases the ability of search engines to “see” your site. SEO relies on the consistent use of marketing content as well as other functional elements including “links”. SEO is primarily a marketing function and should be managed by a marketing professional who understands all of your marketing and sales issues.